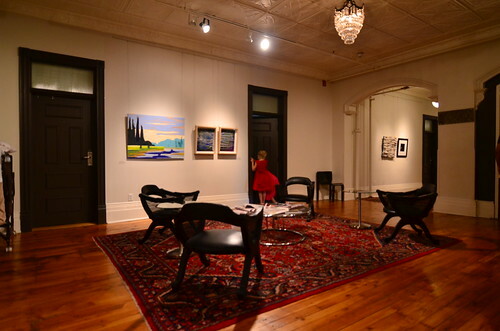 Gladstone Hotel – Sleep in a work of art! 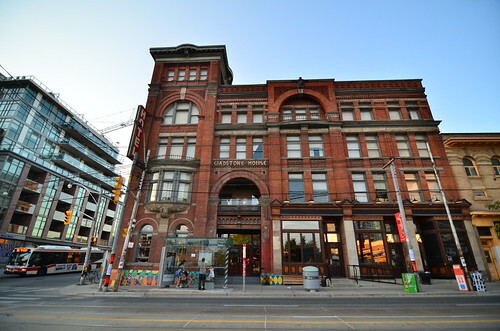 Recognized internationally as Canada’s premier Art Hotel, The Gladstone Hotel is a stunning juxtaposition of old and new, historical landmark and contemporary art scene, making it an icon of local culture and a gateway for international travelers. 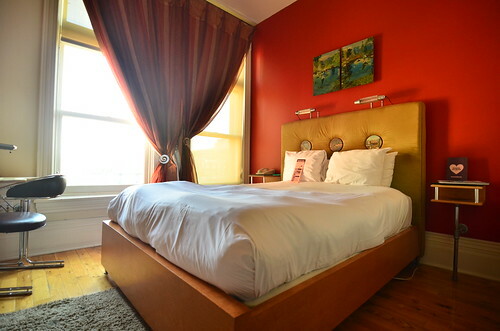 The historic Victorian/turned Art Hotel houses 37 artist-designed guest rooms with truly distinct art installation that presents an unique experience to anyone that sleeps in one. 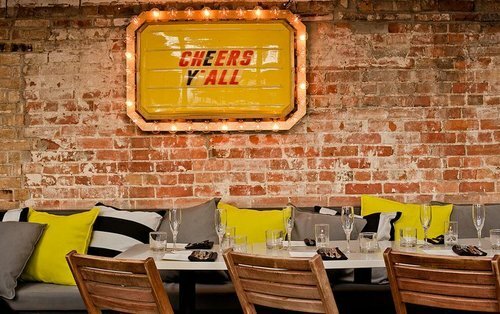 All the artists are from Toronto and the design of the rooms are whimsical and thought provoking, and no suprise Gladstone is one of the Five Art Hotels in the Nation. You see exhibits all around the hotel – pictured above is the Lobby. 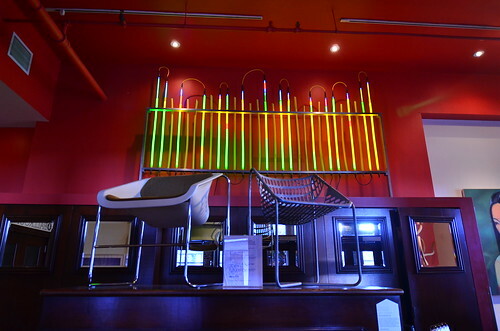 Art bar in the ground floor runs shows frequently and the hotel also houses a permanent gallery in their building. 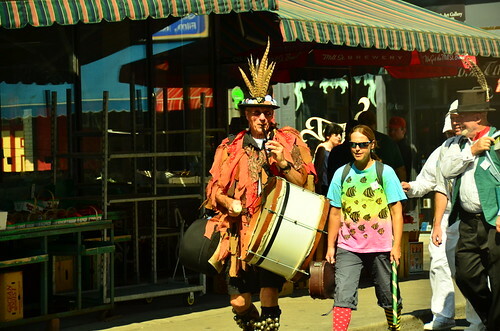 The travelling SketchBook project was in Gladstone the time we were there. 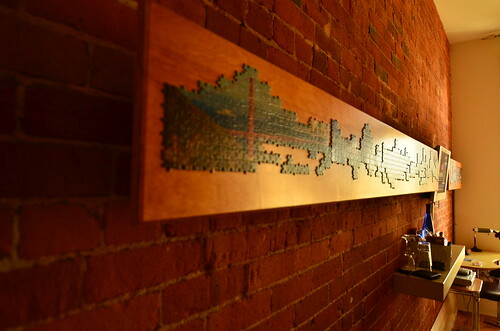 Our room was called the ‘Puzzle Room’ with the Puzzle pieces arranged in a long narrow wooden frame, the installation against the brick wall was a full spectrum of iconic architecture from the West to the East.. The size of the room was pretty modest but the details and the comfort of the room wasn’t compromised. Also, it’s space you get for the location. The Elevator was preserved from the yesteryears and a bell boy operates the old school wheel to move you from one floor to another. It’s an experience by itself! Yummy treats in the Dry Bar! Melody Bar is an old timey bar that makes mean cocktails and often has trivia & karaoke nights. Crooners, welcome! 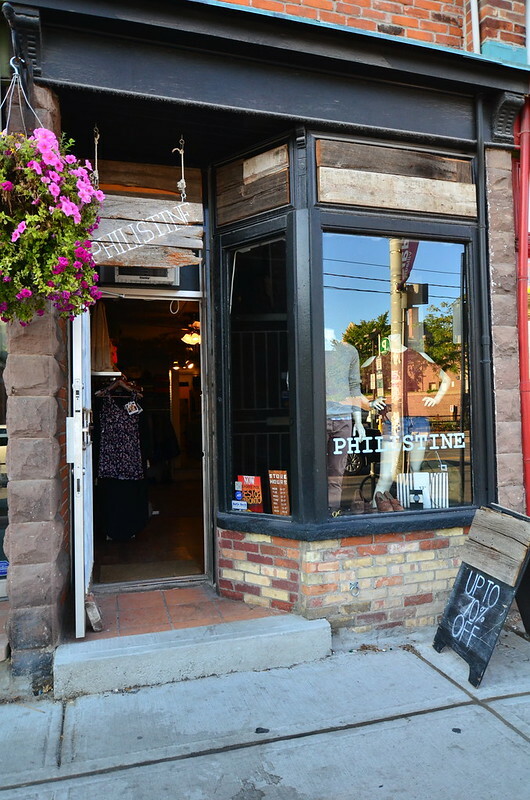 The Parkdale area, has gone through a total transformation in the last few years, but all for the good & creative making this the artsy bohemian nabe in Toronto. 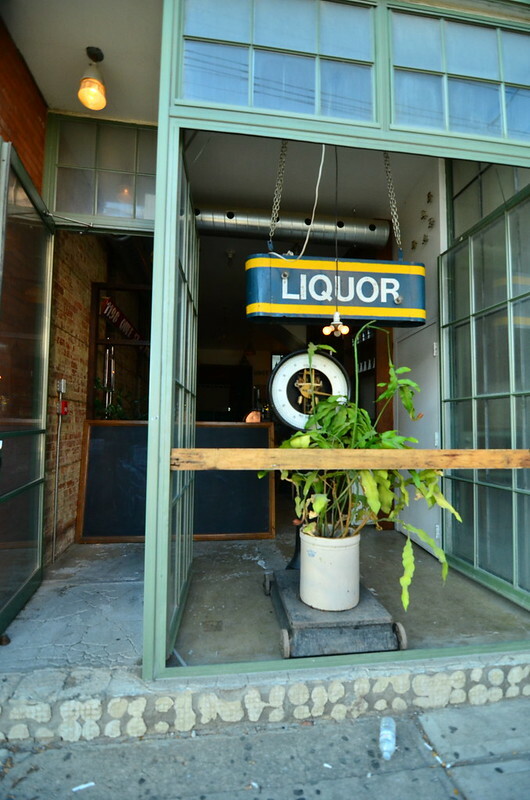 You can walk around getting lost in the multitude of vintage stores or indie bars that dot the streets until your feet gives up or your eyes half shut. 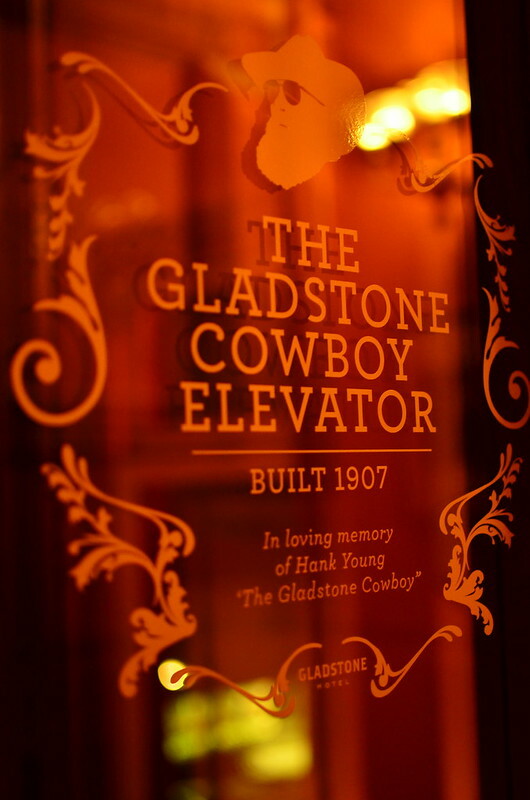 Gladstone is the best hotel/ best neighborhood that you want to be in – well – if you are cool, and like to be among cool. 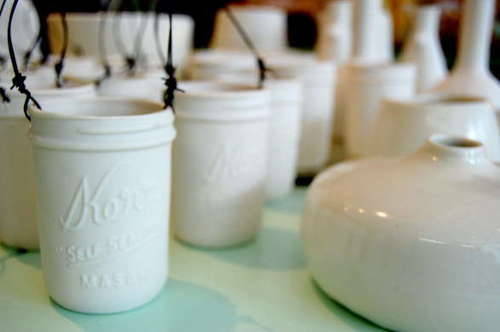 A good curated curiosities store. Best place to pick a gift or a souvenir. 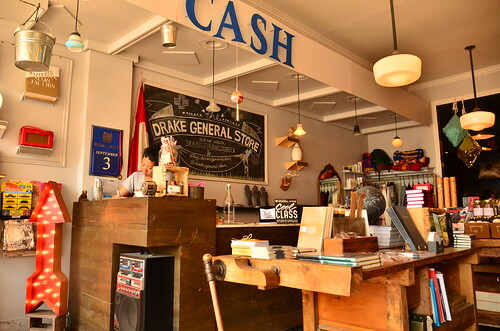 Part of the hip Drake Hotel. 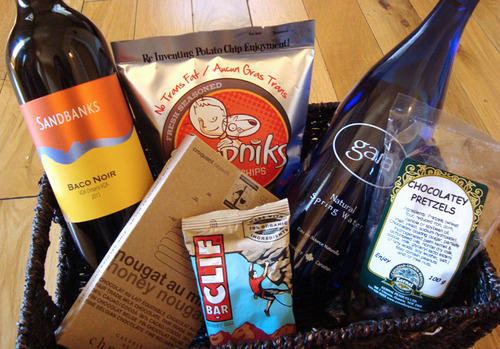 For the foodie in you. 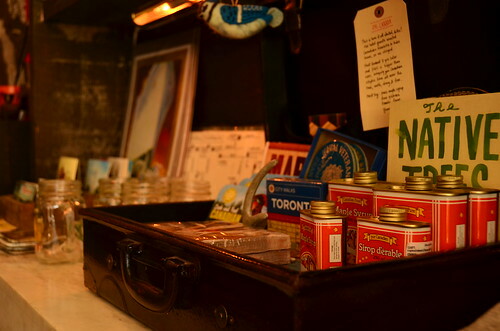 Lots of little things that kept us browsing for a while, a must-go store in the Kensington Market. 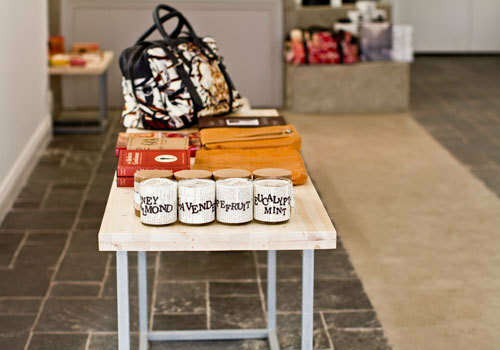 A mutation of sorts, the new concept shop is equal parts boutique, design studio and espresso bar. Room 2046’s focus is on up and coming designers from around the world, many of whom the owner discovered during her globe-trotting adventures. 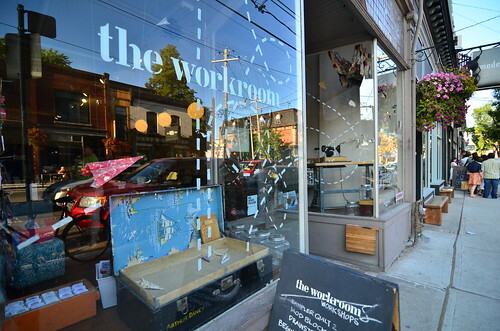 Sew by the hour, an independent craft studio that has all the tools, sewing machines, and artisans to offer advice. Pay 7$ an hour and get inspired by the latest materials, sewing patterns, library of books that will help you make your next project! In a space that’s both spare and Victorian – timeless – this gallery/cafe hosts contemporary works by Toronto artists spanning all media, like Julia Hepburn’s fairy-tale dioramas and Kwest’s 3-D graffiti sculptures. 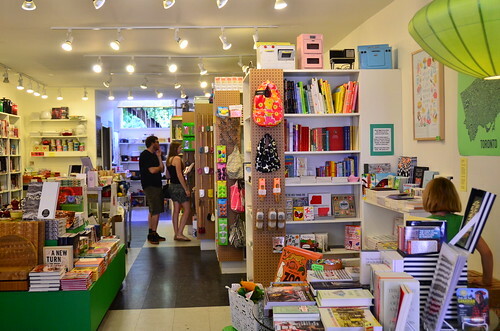 A shop that is delicate, tasteful and homey. 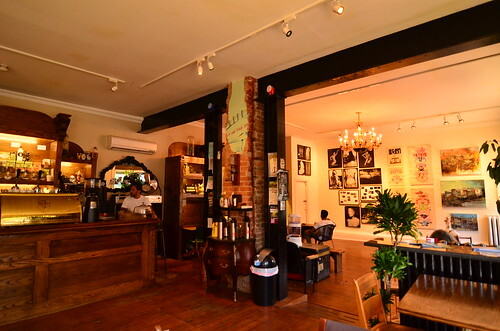 The owner’s love for gardening, and meticulous crafts is displayed beautifully in this small but full-of-heart boutique. Pretty dresses and oh-so-cheap vintage one of a kinds. 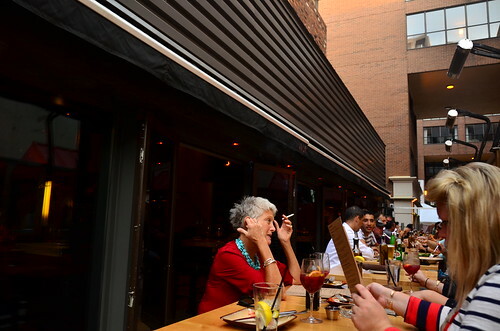 See and be Seen in this Rooftop bar at Drake. 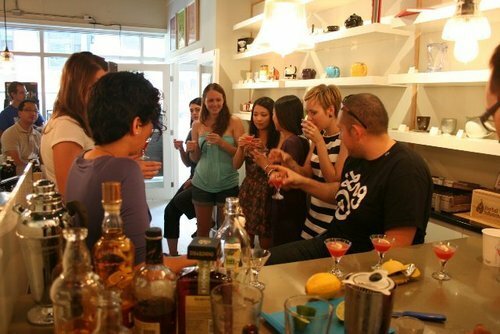 28 culinary cocktails are served here. A 50 pound of ice glows colorfully atop the bar and is waiting to be chipped by the mixologist to craft the next cocktail. My deconstructed cocktail was 28$ that included a strong cherry liquor, a cherry with lavendar shaved ice, lavender tablets, olive foam, and candied olives. A drink I’ll remember! Signless funky bar. 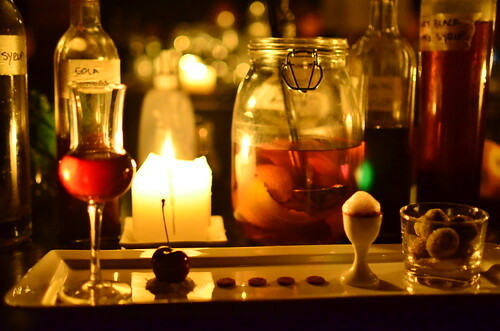 Intimate, dark, great DJs and cocktail connoisseurs as your host. ‘nuf said. This little shop is bursting with all things tea. 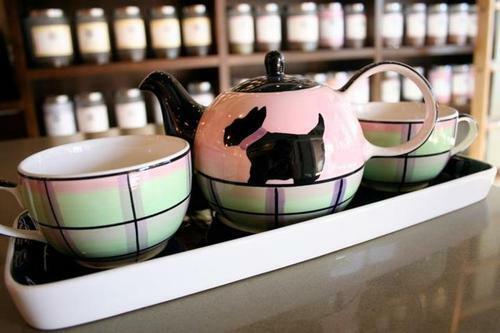 Against rustic barnboard cladding – sourced by owner Dan Johanis from Mount Forest Mennonites – floating white shelves are filled with Bodum teapots and cups, Tetsubin Japanese iron pots, naturally flavored cane sugars and more. For that hit of caffeine, “teashots” are served in test tubes. 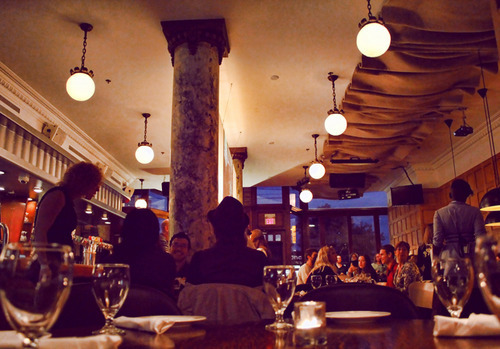 Ciao Wine Bar is grown up wine bar with an authentic Italian experience in the heart of Yorkville district. 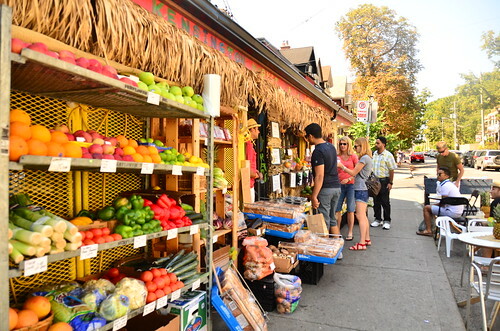 Kensington Market – A colorful neighborhood with eclectic shops, food joints and a lot of character! Sun stopping to get a fresh off the shelf vegetable juice! A volleyball league takes place each weekend in the summer. Just Sign up and Show your skills! 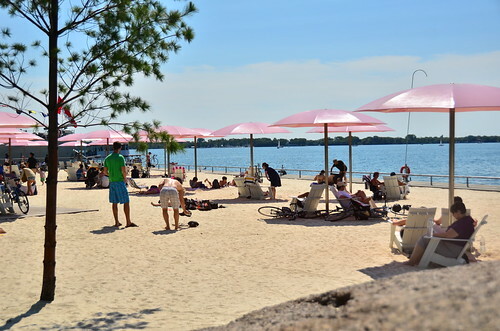 Sugar beach – This beach is just for novelty. Pretty small in area but the pink umbrellas look good. 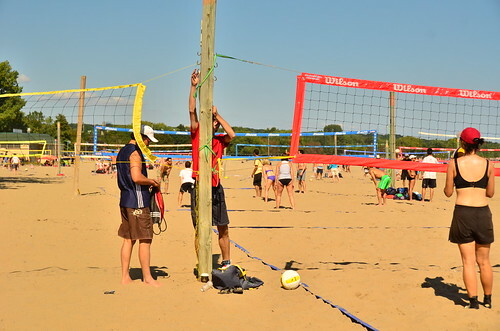 Bluffers Park – A better beach. And stay for the campfire at night. Bata Shoe Museum – Anyone who lived in India are obsessed with the Bata shoes, I might have worn those my entire childhood and those bloody shoes last forever. Well – this museum houses shoes from all over the world and different cultures. A place to see the fashion history of shoes. 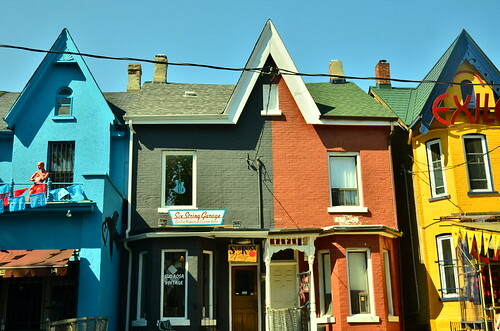 And thats that – a mini-guide for Toronto. Needless to say – you should go and check it out yourself soon!